Material: Polyester, soft and comfy. 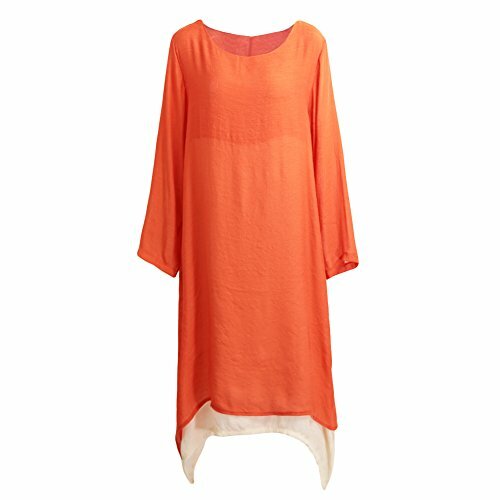 Flowing layers of cotton linen add breezy flair to this dress featuring carefree styling, round neck and long sleeves, making this complete ensemble a must-have. Color: Orange / Coffee / Army Green (optional); Size: S-5XL(UK6-UK20). This long summer dress is a wonderful choice for you, you will feel cool sense and charming. Please refer to the size details in picture before you purchase,and allow 1-2cm (0.4-0.8″) differences due to manual measurement, and color may be little different due to monitor, thanks.